Hazmat & Occupational Hygiene – MAIN – Martech Group Inc.
Asbestos is a mineral fiber that has been used commonly in a variety of building construction materials for insulation and as a fire-retardant. Because of its fiber strength and heat resistant properties, asbestos has been used for a wide range of manufactured goods, mostly in building materials (pipe and other insulation, roofing shingles, ceiling and floor tiles, paper products, and asbestos cement products), friction products (automobile clutch, brake, and transmission parts), heat-resistant fabrics, packaging, gaskets, and coatings and many more. When asbestos-containing materials or ACM’s are damaged or disturbed by repair, remodeling or demolition activities, microscopic fibers become airborne and can be inhaled into the lungs, where they can cause significant health problems. Asbestos has now been determined by medical research to be the lead cause of Asbestosis, a cancer in the lung that can lead to death. This is why it is so important to have an asbestos survey and have the asbestos removed from the premises if it is detected. 2) Deteriorating, damaged, or disturbed asbestos-containing products such as insulation, fireproofing, acoustical materials, and floor tiles. Ontario has many regulations under both the Environmental Protection Act and the Occupational Health and Safety Act pertaining to Asbestos and other designated and hazardous substances. Asbestos, being one of the substances that was widely used in building materials, has been classified by law in Canada as a designated substance that was banned from use by any industries unless by strict conditions. The laws in Ontario are very clear when it comes to designated and hazardous substances and materials. 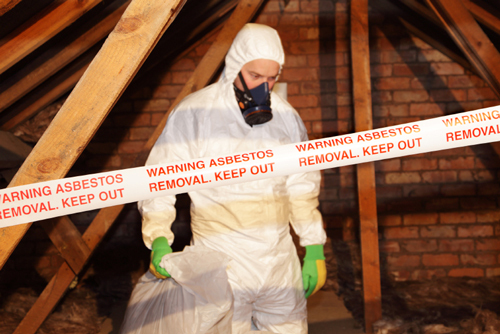 Asbestos, again, one of the most to have been used is considered one of the most strictly regulated substances due to its dramatic health and environmental impact. In a nutshell, Ontario Regulation 278/05 states that any owner, or contractor, engaging in repair, renovations, demolition, or disturbance of building materials contained in a building that was built prior to March 16, 1986 should confirm the presence of Asbestos Containing Materials (ACM’s). If the subject building is confirmed to contain ACM’s, then a proper removal under the same regulation is necessary to comply with the law. Non compliance can lead to a larger magnitude consequence and may result in facing charges and large fines. We cannot emphasize the importance of complying with the Ontario Regulations pertaining to Asbestos. Many consultants, contractors, building owners, insurance companies and employers underestimate the regulatory requirements. We have seen corners cut, and ultimately, the occupants and users are exposed to a great deal of risk. This is not tolerable by law, or ethics of any reputable contracting or consulting firm. Asbestos, despite the opinion of some, is a cause to illness and death and should be taken seriously. Call us for an absolutely free phone advice on what you should do and where you stand with the law. Call us at 1-855-291-4663, we are both engineering professionals, and environmental service providers, you can count on us to remove that unwanted asbestos. Relative Humidity Levels in the indoor air are maintained between 45 and 55 percent. 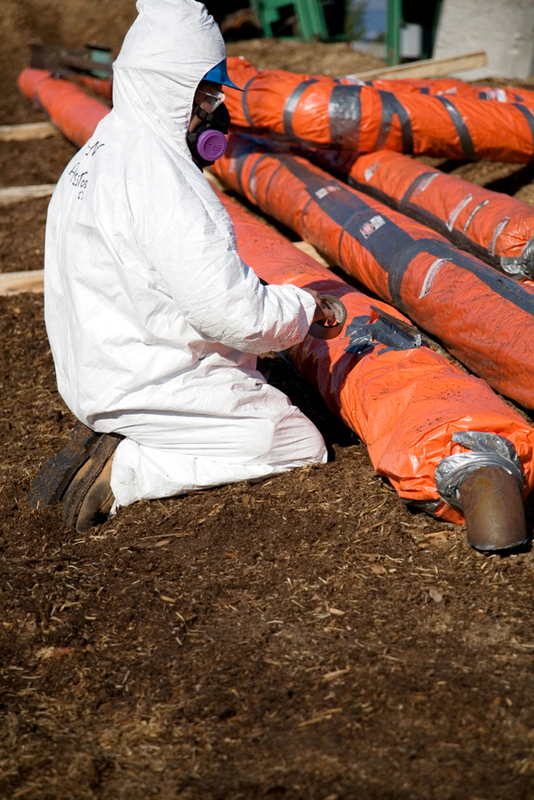 Leaks, infiltrations and water losses are controlled immediately and dealt with in a diligent manner. Most surfaces already have Mould spores on them, and it would take for some Mould species 24 hours to begin germination and can become fully grown within 48 hours and up to 12 days. 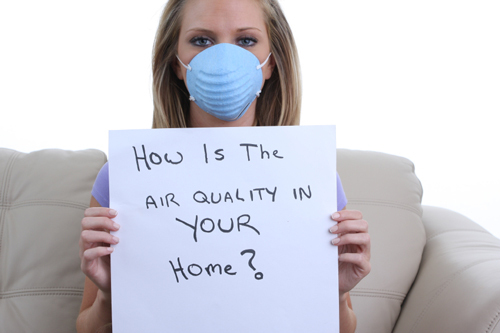 Engage in regular testing and evaluation of the indoor air quality. This is important so that you are aware of the status of your home’s health. It is like a doctor’s visit for your home. Mold, whether black or not, is considered hazardous if it exceeds normal levels. We receive many calls from individuals with concerns about mold in their homes, offices or buildings. If you or any one you know have mold, do not disturb it. 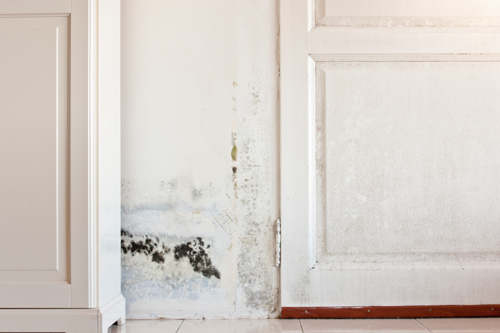 Attempting to clean mold improperly can lead to a much bigger problem in the future. Mold removal is a specialized process and is not to be treated otherwise. 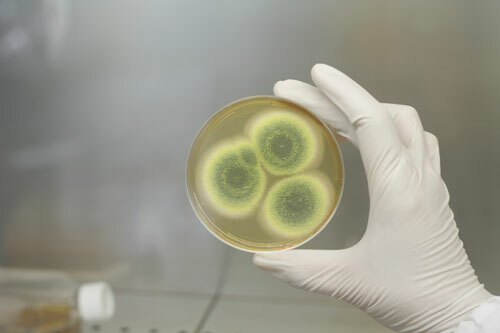 If cleaned improperly, spores will become airborne, and land on other clean surfaces and eventually begin their germination stage and hence infest other surfaces. Call Martech for more information and to receive a free advice on mold, its impact and the process to remediate it. We will gladly provide you an estimate on removing unwanted mold from your residential or commercial property. Our Service areas include: Burlington, Oakville, Mississauga, Toronto, Ontario and the surrounding areas of the GTA. We now have east coast offices based in PEI, Halifax and New Brunswick. Lead was widely used in paint for residential and commercial buildings before 1978. Lead is toxic for humans and animals and can adversely affect human health. Lead poisoning is common in children. Adults are also susceptible to this as lead can get into the body by breathing or swallowing lead dust or by ingesting soil or paint chips that contain lead. Although ‘do it yourself’ lead testing kits are available, they are not a 100% reliable. Call us at 1-855-291-4663 to speak with our lead testing specialist and let us make your home lead free. Review the article below on lead and minimizing your risks. Many older homes in Canada are decorated with lead-based paint. Removing or disturbing this paint as part of a renovation project could expose people in the home to serious health risks. However, the risk can be minimized by following a number of guidelines. Lead Poisoning: People have known for a long time that exposure to lead is dangerous. Lead poisoning can cause anemia. It can also damage the brain and nervous system, resulting in learning disabilities. The risks are greater for children than for adults, because children’s growing bodies are able to absorb lead more easily. Even small amounts of dust containing lead are dangerous to infants and children. Lead taken in by mothers-to- be can also pose a danger to the health of unborn children. Lead-based Paint in Homes: The likelihood that your home contains lead-based paint depends on when it was built and painted. Homes built before 1960 probably do contain lead-based paint. If your home was built after 1980, there is no need for concern about lead levels in interior paint, but there may be lead in the paint used on the outside. There is no need for any concern about leaded paint in homes built after 1992, because all consumer paints produced in Canada and the U.S. by that time were virtually lead-free. It is not always in your best interest to remove lead-based paint. In some situations leaving leaded paint alone, as long as it is not chipping or within the reach of children, is safer than trying to remove it. Covering the painted area with vinyl wallpaper, wallboard or paneling can provide extra safety. 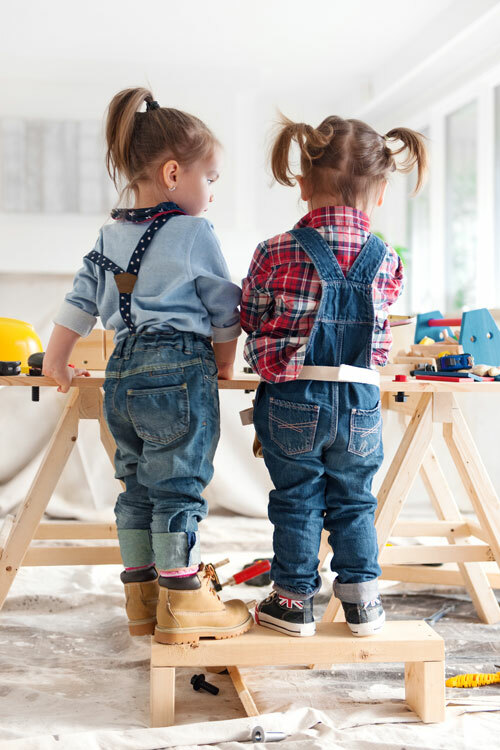 However, lead-based paint in the home is a serious health hazard whenit is chipping or flaking, or it is within the reach of children who might chew on it. In such cases, you should remove the paint following very specific guidelines. There are several ways to find out whether the paint in your home is lead-based. Some independent contractors have special X-ray equipment that can sense lead on paint surfaces. It is not safe to use sanders, heat guns or blowlamps to remove lead-based paint. These methods are counter-productive because they create dust and fumes that contain lead. Keep children and pregnant women away from the work area. Remove furnishings from the work area. Use plastic sheeting to completely cover anything that cannot be moved. Isolate the work area by covering doorways and vents with plastic sheeting and tape. This will prevent the spread of scrapings, chips, and paint particles to other parts of the house. Before starting work, make sure the room is properly ventilated. Set up a fan so it blows air out through an open window. Start by applying stripper near the fan and work your way back, so the fumes are always blowing away from you. Always wear goggles, gloves and a good quality breathing mask. If you spill any chemical stripper on your skin, wash it off right away. If you get stripper on your work clothes, take them off immediately. Wash them separately from other clothing. Work for about ten minutes at a time, then take a break outdoors in the fresh air. Leave the work area right away if you have trouble breathing, get a headache, or feel dizzy or sick. Never eat, drink or smoke while removing paint, and keep anything that might cause a spark or static electricity out of the work area. Clean the work area thoroughly at the end of each day. Put paint scrapings and chips in a sealed container marked Hazardous Waste. Then wipe down the work area with a clean damp cloth, and throw the cloth away. Do not throw out paint scrapings with the regular trash. Your local municipality can tell you the best way to dispose of old paint scrapings and other hazardous household wastes. If you are not sure about something call the Martech Group, we specialize in removing lead from homes and commercial buildings. Mould spores, Asbestos containing materials, UFFI (Urea Formaldehyde Foam Insulation), airborne particles such as dust and other particulates, Lead, Hydrocarbons, Volatile Organic Compounds, Carbon Monoxide, Carbon Dioxide, and Oxygen levels, and more. These elements in the indoor air can determine if the indoor air quality in ANY BUILDING is considered acceptable for human occupancy. There is a huge misconception that indoor air quality can only affect humans, that is not true. It is necessary for any life form to have an acceptable level of indoor air quality. Home owners, employers and other occupiers of any buildings should test the indoor air quality in their homes on regular basis. Employers are required by law, to provide a safe working environment for their employees. It is the responsibility of any and all employers to engage in air quality assessments on regular basis to ensure safe working environments for all. Martech Group specializes in the assessment of indoor air quality and in improvement solutions and programs, call us today for all your IAQ needs: Toll Free: 1-855-291-4663. Get your indoor air tested so you can breath easlier. Why is radon testing is important? Radon is an odourless, colourless radioactive gas that is sometimes responsible for causing cancer. It is the second leading cause of lung cancer and can be a problem in your home without your knowledge. People in smoking homes are at an even higher risk. Studies and research has shown that children are more at risk to the effects of radon. Radon can get into the home by seepage through gypsum board, plastics like bags, concrete blocks, paints, mortar, sheetrock, tarpaper, insulation and wood paneling. 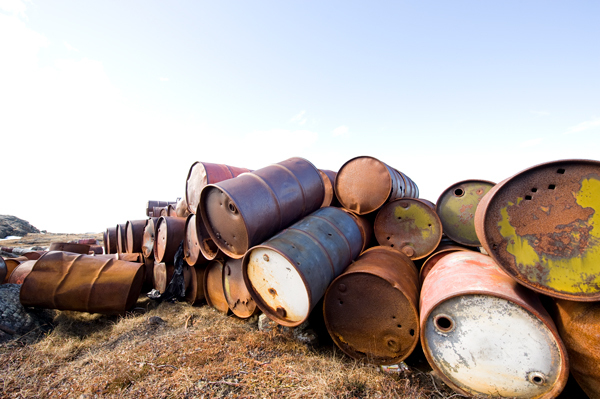 The gas comes from a natural decomposition of uranium in the ground. It works its way up through the soil and eventually through cracks and penetration in the foundation, getting trapped inside the living area. There are many ways that this poisonous gas can enter your home. You don’t have to wonder if your home is affected with radon because radon testing is available and relatively easy. In just a few short minutes of your time, you can determine the picocuries per liter of air existing in your home, which is how radon is detected. Several test kits are available for at-home use through the mail, other retailers and your local hardware store. Each test is simple to use and comes with complete instructions. However, you may prefer to call Martech Group for professional accurate radon testing, especially when buying and selling your home. There are two types of radon tests, both a passive and active type test. 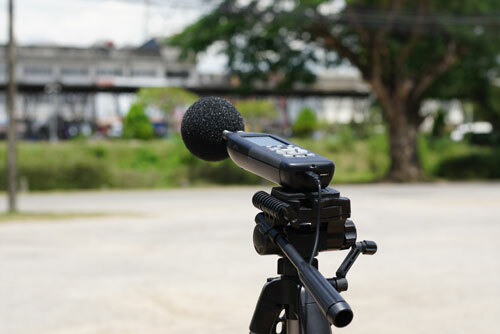 Passive tests are generally used to trap a product for further analysis at a later time using charcoal canisters, ion detectors, charcoal liquid scintillation detectors and alpha track detectors. Active tests works electrically with a Teflon disc that detects ion generated from radon decay. The Teflon disc picks up the radon and it is then calculated. Since it is simple and inexpensive, how often should a home be tested for radon? Changes in the home and environment can occur causing some radon exposure such as after heating and cooling seasons. Variations can be due to new cracks in the walls, floors and foundation or any other alterations or disturbances that can lead to a penetration of radon. In fact, if you plan on any type of remodeling or renovations, it is important to do a test prior to your project. If the test is radon-positive, there are radon-resistant techniques that can be done as part of the renovation to guarantee safety in the home or business environment. 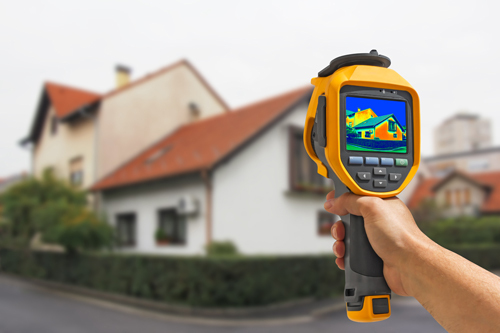 As a general rule, it is wise to test your home or business at least once every year or two to be sure your environment is good for your family and your employees . It can be a matter of a good healthy life free from the cancer-causing radioactive gas known as radon. We employ two main methods for radon testing; short term and long term testing. Call us at: 1-855-291-4663 for a free consultation. Urea formaldehyde foam insulation is used in existing houses by injecting the foam into areas such as behind walls where conventional insulation cannot be provided. It has a good R vale (thermal resistance). Formaldehyde insulation was extensively used in the 1970’s. The problem with formaldehyde is that some formaldehyde gas is released during the on-site mixing and curing. If properly installed UFFI might not have resulted in problems. However, sometimes improperly installed or used in areas where it should not have been used. After receiving extensive complaints especially from people living in small, well-sealed homes Canadian authorities became concerned about the negative health impacts of UFFI and in December 1980 the insulation was banned. 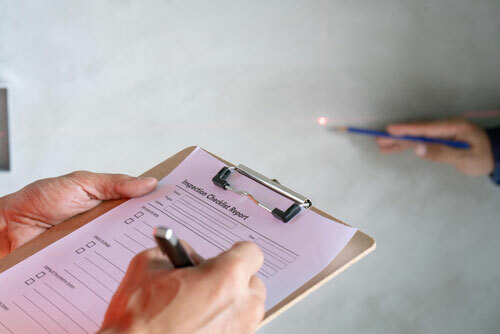 Some home inspectors will have the training or experience to identify UFFI. You can make a physical check of the home yourself. Look for a series of small patched holes, 1.2 to 2 cm (1/2 to 3/4 in.) across, at regular intervals on exterior or interior walls. Foam may be obvious where floor joists meet the exterior walls of the basement or around electrical outlets or switch plates. These indicators do not necessarily mean that UFFI is present, but they may alert you to the possibility. Call us at: 1-855-291-4663 for a free consultation. Vermiculite is a naturally existing mineral mined around the world and used in a variety of commercial and consumer products because it is fire-resistant and good insulation properties. Some of the vermiculite ore produced by the Libby Mine in Montana from the 1920’s to 1990 was sold as Zonolite® Attic Insulation and possibly other brands in Canada during that time. Vermiculite mined from the Libby Mines in Montana may contain varied percentages of amphibole asbestos as testing shows. The Libby Mine supplied the majority of the world market in vermiculite-based insulation and much of it came to Canada between 1960 and 1985. Vermiculite is a non homogenous material hence why testing and remediating it requires special attention that may be considered above and beyond the regulatory requirements. Products made from vermiculite ore produced by the Libby Mine were not widely used after the mid-1980’s and have not been on the market in Canada since 1990. Not all vermiculite produced before 1990 contains amphibole asbestos fibres. However, to be safe and in the absence of evidence to the contrary, it is reasonable to assume that if your building has older vermiculite-based insulation, it may contain some amphibole asbestos. Due to the fact that vermiculite is a non homogenous materials, you cannot really assume by testing, that certain percentages of contained asbestos are ok. We at Martech Group, always advise our clients that a comprehensive testing should be completed to exceed the sampling / testing requirements of the Ontario Regulation 278/05. 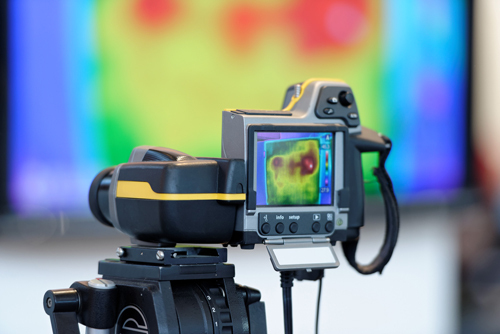 Non homogenous materials are known to vary in consistency from one area to the other, hence a more accurate and precise investigation should take place. Many clients have contacted us to enquire about how to deal with Vermiculite. Unfortunately, many consultants, Home Inspectors, Realtors and Contractors relay incorrect and misleading information that may impact the health of occupants as a result. We have personally run into some debates on behalf of the general public with such bodies with regards to Vermiculite. The issue seems to always be that in accordance with the Ontario Regulation, “if it is less than 0.5%, then it is not an ACM” and yes, we agree, for homogenous materials, not vermiculite. It is our professional opinion, and we speak from experience, and as only our opinion and not others, that is Asbestos is detected in any of the samples, then the Vermiculite should be treated as an asbestos containing material. We will gladly provide you with a free consultation, call us today at 1-855-291-4663. We specialize in Marijuana grow house clean ups. In order for a former Clandestine & Marijuana Growth house to be deemed suitable for human occupancy, municipal licensing and Standards Division (ML&S) requires a report from a professional engineer regarding the condition of the structure, condition of the electrical systems and a report regarding the internal conditions outlining any potential hazards associated with the premises and a plan for the remediation of the property. Martech Group specializes in conducting the investigation, forming the above reports and the necessary steps required for a clean-up to make the property suitable for human occupancy again. Review the article below on Marijuana Grow Houses. The following Protocols are set forth by the City of Toronto Municipal Licensing and Standards Division. Most Municipalities in Ontario, and in general Canada follow similar protocols to process Marijuana Grow Houses to make them safe again. Coordinated Marijuana Grow House and Illegal Drug Lab Response Protocol By: Municipal Licensing & Standards, City of Toronto This document outlines the City of Toronto’s response and remediaition protocol for premises that have been utilized for the unauthorized production and/or cultivation of illicit substances, including marijuana and psilocybin mushroom grow operations, methamphetamine and ecstasy (MDMA) laboratories. Note: Staff of the involved agencies will refer any suspicion that premises are being utilized for the production and/or cultivation of illicit substances to the Toronto Police Service. Toronto Police Service (TPS) Drug Squad conduct criminal investigation of alleged marijuana grow house/illegal drug laboratory. TPS Drug Squad and Divisional personnel obtain a search warrant and attend the premises. TPS Drug Squad and Divisional personnel gather physical and photographic evidence and dismantle the marijuana grow house/illegal drug laboratory. TPS contacts Toronto Hydro-Electric Service (THES) and request disconnection of the electrical service. If TFS respond to a fire caused by an illegal drug laboratory or marijuana grow operation, to notify TPS. Contact THES and request disconnection of electrical service. TPS notifies THES regarding marijuana grow op/illicit drug lab by TPS lead investigating officer. TPS requests that THES disconnect the electrical service. THES advises TPS to have representative on site at time of disconnection. THES instructs the Integrated Customer Response (ICR) unit to attend premises. ICR attends premises disconnects the electrical service at source. THES receives TPS Drug Squad Marijuana Cultivation Report. TPS forwards the Drug Squad Marijuana Cultivation Report to THES, ESA, TPH and the Director of Investigations, ML&S. Pictures, videos or any additional documentation that may assist in the assessment of premises, may accompany this report. ML&S Director of Investigation Services receives the TPS Drug Squad Marijuana Cultivation Report. Where the Drug Squad Marijuana Cultivation Report indicates the possibility of the presence of combustible or volatile chemicals or liquids ML&S will contact the TFS and they may investigate and follow-up on any violations of the Fire Protection and Prevention Act, 1997, S.O. 1997, c. 4..
ML&S forwards the TPS Drug Squad Marijuana Cultivation Report to the pertinent District. ML&S Municipal Standards Officer (MSO) ascertains the identity of the owner of the property. MSO attends the premises to ascertain if the premises are occupied, performs a property standards inspection and secure the building. If the MSO finds deficiencies on the exterior of the building and/or surrounding property. Standards Order, pursuant to §15.2, of the Building Code Act, 1992, S.O. 1992, c.23, is issued to the property owner for the violation(s). MSO placards the premises with a copy of the order and arranges for the order to be placed on title to the property. A report from a professional engineer regarding the condition of the structure, clearly outlining any potential hazards associated with the premises and a plan for remediation of the property. A report from a professional engineer or the Electrical Safety Authority (ESA) regarding the condition of the electrical system, clearly outlining any potential hazards associated with the premises and a plan for remediation of the property. A report from an environmental engineer/consultant regarding the internal conditions, clearly outlining any potential hazards associated with the premises, its suitability for habitation, and a plan for remediation of the property. NOTE: The environmental engineer/consultant’s report will not be required in cases where ML&S are notified by the TPH Environmental Response Team (ERT) that TPH will placard the premises and issue an order to the property owner to have an environmental engineer/consultant provide a report regarding the internal conditions of the premises, its suitability for habitation and a plan for remediation of the property. NOTE: In the case of a property owner who fails to comply with the orders requiring the professional engineer’s, environmental engineer or consultant’s reports pursuant to §15.8(1) of the Building Code Act, 1992, S.O. 1992, c.23, the property owner will be charged by ML&S with failing to comply with an order under §36(1) of the Building Code Act. The environmental engineer/consultant’s report is forwarded to TPH Regional Public Health Inspector (PHI) for evaluation of the remediation plan. The professional engineer’s/consultants reports regarding the condition of the structure and the report from a professional engineer or the Electrical Safety Authority, regarding the electrical system, will be reviewed by ML&S and an Order to Comply will be issued, pursuant to §15.2 of the Building Code Act, 1992, S.O. 1992, c. 23, requiring the property owner to implement the remediation plan. The Property Standards Order issued pursuant to §15.2 of the Building Code Act, 1992, S.O. 1992, c. 23, shall immediately be registered on the title of the property. After the implementation of the remediation plan the professional engineers and/or ESA and the environmental engineer/consultant will provide a report to ML&S indicating that the remediation of the property has been satisfactorily completed. ML&S forwards the structural engineer’s report, requested pursuant to §15.8(1) of the Building Code Act, 1992, S.O. 1992, c.23, to BLD for review. BLD will advise ML&S, of any hazardous conditions related to the structure (structural stability) of the premises and any other Building Code deficiencies that may render the premises unsafe. BLD may, in certain cases, issue an Unsafe Order, which could be followed by the issuance of an Order Prohibiting Occupancy pursuant to §15.9(6) of the Building Code Act, 1992, S.O. 1992, c.23, prohibiting occupancy of the building and requiring remedial action to be taken. BLD informs ML&S in writing regarding the issuance or non-issuance by TPH of an order pursuant to §15.9(6) of the Building Code Act, 1992, S.O. 1992, c.23. Upon completion of the remediation of the premises the professional engineer will provide a report to BLD indicating that the remediation of the property has been satisfactorily completed. When notified by ML&S that the Drug Squad Marijuana Cultivation Report indicates the possibility of the presence of combustible or volatile chemicals or liquids MLS will contact the TFS and they may investigate and follow-up on any violations of the Fire Protection and Prevention Act, 1997, S.O. 1997, c. 4. TFS will be the designated agency to contact the Technical Standards and Safety Authority (TSSA) regarding possible fuel safety issues. TPH Environmental Response Team (ERT) receives TPS Drug Squad Marijuana Cultivation Report, which may be accompanied by photographs and/or videos. ERT evaluates the written and photographic evidence contained in the TPS Drug Squad Marijuana Cultivation Report for potential health hazards. TPH conducts title search on the premises reported by TPS if an order under the HPPA is to be issued. ERT informs ML&S in writing regarding the issuance or non-issuance by TPH of an order pursuant to §13 of the Health Protection and Promotion Act, R.S.O. 1990, Chapter H. 7(HPPA). • The ERT forwards the file to the Regional Public Health Inspector (PHI) for review and service of the order on the owner of the premises, along with a copy of the TPH Interim Guidance Document for Environmental Assessment for Mould in Marijuana Grow Houses. • PHI instructs property owner to ensure that the premises remain unoccupied and the placard prohibiting occupancy remains until TPH removes it. Regional PHI to placard the premises within 24 hours of service of the order. Regional PHI reviews environmental assessment and remediation plan and confirms with environmental engineer/consultant that remediation has been completed. NOTE: Failure to comply with the TPH order issued pursuant to §13 of the Health Protection and Promotion Act, R.S.O. 1990, Chapter H. 7., may result in further legal action against the property owner. Where TPH indicates that a health hazard is not identified, TPH will advise ML&S, in writing, that an order will not be issued pursuant to §13 of the Health Protection and Promotion Act, R.S.O. 1990, Chapter H. 7. TPH will request a copy of the environmental engineer’s/consultant’s report, provided to ML&S, for their review and comment. ERT forwards the file to the Regional PHI for review of the environmental assessment. Regional PHI reports, in writing, to ML&S, the property owner and the environmental engineer/consultant regarding the appropriateness of the remediation plan. Regional PHI receives confirmation that the remediation plan has been implemented. Confirm Application for Inspection (permit) filed after remediation of the electrical system. Inspect property for compliance with the Electrical Safety Code. Issue connection authorization to THES. • Upon receipt of the ESA connection authorization, and payment of the regulated costs incurred, THES reconnects electrical service. NOTE: City Staff will jointly conduct an on-site inspection, to the extent that they are able to do so after resolution of any legal or health and safety concerns, which may be dependent upon the receipt, approval and implementation of the remediation plans as set out in the reports provided to the City by the various engineers/consultants, within a reasonable time after notification by the TPS under this protocol. Where BLD and/or TPH have issued orders, pursuant to their enabling legislation, ML&S receives notification, in writing, from BLD and/or TPH indicating that the approved remediation plans have been implemented. Staff of ML&S, TPH and BLD conduct a coordinated on-site of the premises to ascertain that the building is structurally sound, free of mould and/or water damage and/or chemical contamination and is safe for human habitation. Martech Group specializes in the identification, evaluation and control of hazardous materials that may be responsible for adversely affecting the health of workers. Dust and particulates are responsible for an increasing number of respiratory problems and an increase in the occurrence of allergies. Call us today at 1-855-291-4663 and let us rid your home of dusts and particulates.